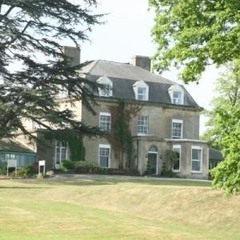 The hotel and its comfortable rooms radiate a typical English country home charm. Only 7.5 miles (12 km) from Bristol, the hotel has great access to the region’s major roads for travel all around the region. The hotel features the Sebastian Coe Health Club, which houses an indoor pool, a sauna and fitness equipment. Enjoy a brisk ride through the local estates on the hotel’s loan bicycles, or have a relaxing game of croquet on the lawn. The restaurant offers traditional dishes in a pleasant ambience, with wonderful views of the beautiful garden. The menu changes weekly to reflect the finest, freshest seasonal produce available locally. The Ramada Grange Hotel is an ideal location for conferences and other events; there are 6 conference rooms, the largest of which is suitable for up to 150 people. Inside and outside, the hotel offers the right ambience for your business meeting. The hotel is also the perfect location for a romantic wedding celebration.